While aboard a cruise ship to Havana, a man finally breaking from his seasickness visits the deck in the middle of the night. Upon sitting on a deck chair, he feels an odd and overwhelming dark element come over him. It's a dark and malevolent thing that sends him back indoor so off-put is he. When he asks one of the shiphands about it, he is told of a sickly thing that occurs--always on the "second night out" that has taken lives previously. The man is returned to his room wherein he finds a corpse. Upon recovery, the shiphand speculates that the evil spirit that the man encountered early was out to kill him as it had killed others before but because he came in and was witnessed by the shiphand, the creature had to kill someone else and took this random man who ended up in the protagonist's room. The story ends with the man talking about how horrible his sleep was the rest of the trip. I wasn't fond of this story. It felt like it was missing something or that I missed something. It lacked much of a punch. 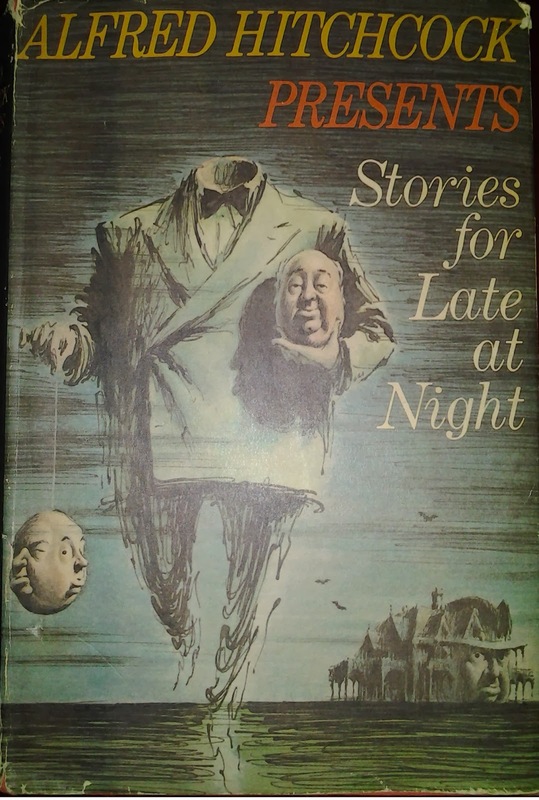 As part of the Hitchcock anthology, it didn't quite hold its weight in that there was a curiousity to be discovered but not much reward for working through the story.